If you own a motorcycle or ride with someone who owns one, you most likely will agree there is nothing quite like getting on the bike and riding off with no real destination in mind. It is the feel of the wind in your face, the growl of the engine and experiences during the ride that form the stories you love to share over and over again. Bikers really don’t need reasons to ride. It is, however, fun when a number of riders can get together and drive alongside each other as a group. The rumble and roar is amplified and the hairs on my arms stand with excitement! 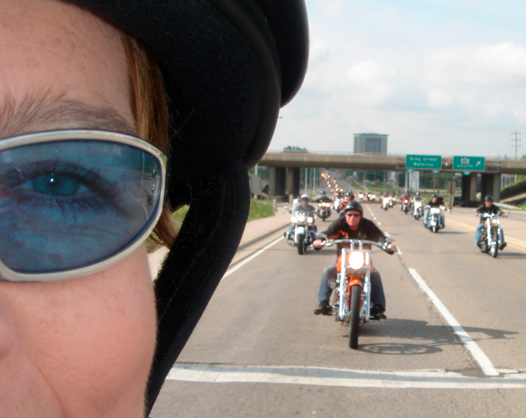 I have always enjoyed riding with friends, old and new, and partaking in events where multiple bikes explore new towns, cities, sites and share their love of the open road together. What a great way of meeting new people who also share your excitement with the hobby. Rides for charity are becoming increasingly more popular. People recognize it is a great way of getting others with similar interests together; contributing some dollars, and giving to a cause near and dear while spending part of a day doing something they love to do. Mega dollars have been raised by putting a ride together and getting the word out so others can share the experience and enjoyment of helping a community. It’s a great opportunity to increase awareness of a cause needing attention and support. Eventastic is an online platform where you can create your event for free, have all the event details displayed for viewing and use cool video technology and/or photo sharing to add to the excitement of the invite. You can easily sell registration tickets and choose to have people give cash donations to your cause right on your event website. Marketing your Ride for Charity is a breeze by sharing the link through email and all social media channels. Whether someone has touched your life with Alzheimer’s, Lyme, Cancer, ALS, Parkinson’s, Lupus, etc… you have the opportunity to help make a difference for someone in the future. You may choose to make your ’cause’ a particular topic of need in your community like a family experiencing hard times. Why not take this opportunity and the tools we provide you to make that difference all the while enjoying what you love to do. Share the love.